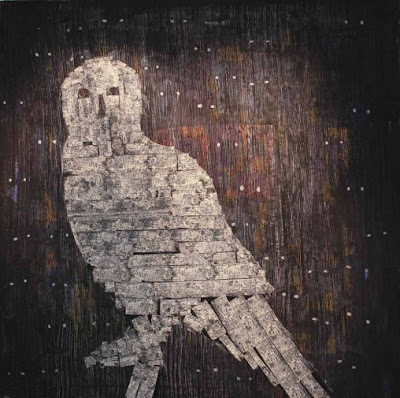 Thaer Maarouf holds a master's degree in fine arts from the Lebanese University. The artist periodically participates at painting and sculpture symposiums from 2002 to 2006 in various regions of Lebanon and involved in international academic workshops in France and Spain and Lebanon. Thaer work exceeds the traditional painting as he had exhibited an installation art work “Lost Identity “during ART DUBAI fair 2012 or “VETO” exhibited at Singapore, 2012. Many of Thaer Maarouf art works are owned by collectors and museums such as Farhat Museum and Singapore National Museum, Thaer has got appreciation certificates and awards from several institutions, where recently heʼs got the appreciation certificate from Goatee at Beirut where heʼs residing and dedicated entirely for his art works.